A healthy diet is vital for optimal skin. A white paper published a few years ago in the journal Dermato Endocrinology highlighted study after study pointing to the efficacy of a variety of nutrients and antioxidants for protecting the skin. One of those nutrients is vitamin A.
Vitamin A includes the fat-soluble retinoids retinol, retinal, and retinyl esters. These retinoids help with immune function, vision, reproduction, and cellular communication. Other forms of vitamin A include beta-carotene and lycopene. But one you may be less familiar with is astaxanthin. It's this vitamin A nutrient that's vital for your skin. Here's why. Astaxanthin is typically produced by microalgae or phytoplankton, which fish and crustaceans (like salmon, trout, shrimp, and crayfish) then eat. We've all eaten beautiful wild reddish-orange salmon and seen pink flamingoes. The flamingo, salmon, and shrimp are all eating phytoplankton, full of astaxanthin. By the way, farmed salmon does not naturally contain this vibrant reddish-orange color, so oftentimes coloring is added to farmed salmon. 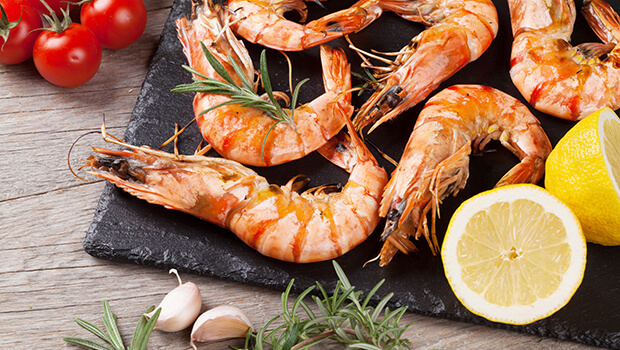 When we eat these types of seafood, we then get small amounts of astaxanthin indirectly. Astaxanthin is remarkably photoprotective. Studies have found that it's especially good at defending the skin from damage caused by UVA rays, which can break down the skin and lead to sagging and wrinkling. Other researchers have found that dermal fibroblasts, the cells responsible for producing collagen, can access and utilize astaxanthin even more effectively than beta-carotene. 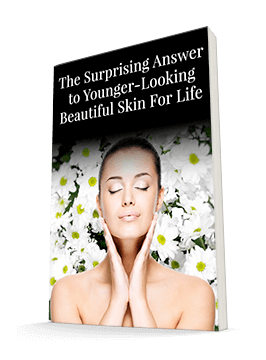 Clearly, astaxanthin is great for the skin. And it's important to get some through your diet. Most of us don't eat seafood daily. The good news is that applying astaxanthin topically also offers UVA protection, if you choose the right kind. While synthetic astaxanthin is available, this white paper cited a study that found that using astaxanthin derived from nature - specifically from microalgae - is much more effective. So, of course, that's where we sourced the astaxanthin we use in the Système 41 products. You'll find astaxanthin in Système 41's Day Crème and Night Treatment. And unlike what you'll find in some of the other skincare products on the market that have at least recognized the value of astaxanthin, ours isn't synthetic. It's sourced from clean, tested spirulina, a naturally occurring algae. So you can be confident that your skin is getting the benefits this antioxidant has to offer, even if you don't eat seafood.